Jesus preached the gospel of the kingdom and commissioned His disciples to go into all the world and bare its glad tidings. The intervening years witnessed the rise of ecclesiastical and civil powers that manipulated the gospel message for their own interests. These intrigues, combined with apathy and ignorance, clouded salvation's good news and confine it to the vacillating decisions decreed by bishop's councils. Fortunately, the Reformation returned believers to the Bible, where the words of Jesus and His apostles provide guidance. More recently, the Restoration renewed the spiritual power and authority that characterized the apostolic church and adorned its ministers. The Gospel of Jesus Christ: A Traditional Approach presents our Lord's gospel as traditionally taught in the Reorganized Church of Jesus Christ of Latter Day Saints. It is divided into in twelve chapters. Each is a separate lessons that contains about twenty questions, along with relevant Biblical texts. The author developed the book as weekly lessons to teach the basic tenets of the church. The remainder of each lesson explains the answers to each question by showing how the information in each scripture fits together. 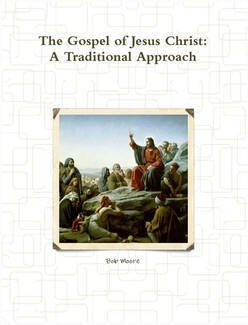 The Gospel of Jesus Christ: A Traditional Approach is a resource for anyone wanting to know the fundamental teachings of the restored church or present a coordinated series of lessons to people interested in the church's teachings. © Copyright 2008 Mooremark, Inc. All rights reserved.